The Art of Hijab, Kohl Black and the Right Way to Pray is inspired by YouTube beauty and hijab styling tutorials for the Muslim woman; shared stories of the Quran, Torah, and Christian Bible; and playwright Sarah Badiyah Sakaan’s culturally diverse upbringing in Memphis,TN. Using multimedia, testimony, nonlinear narrative and cross-gender casting, Polybe + Seats examines gender roles, faith, identity, and Islam in the United States. This piece is inspired by Sakaan's experiences related to the ongoing crisis in Syria. The work received funding from Brooklyn Arts Council & other generous donors. Performed as a solo show 2015-2017 as part of Bad and Nasty Theater in Protest and The Lady Liberty Festival in NYC with excerpts shown at LPAC, TARTE, UNC, and the World Refugee Crisis Forum with Fort Greene Peace and Amnesty International. The an ensemble play was produced in August 2014 at Beit Jeddo (My grandfather's house), a unique non-theatrical venue in Bay Ridge, Brooklyn. Lead artist and Syrian-American, Sarah Badiyah Sakaan, was motivated to begin the project by her desire to find artistic expression for her feelings as events in Syria have unfolded. Drawing source material from personal interviews conducted by Sakaan, news reports on the ongoing conflict and refugee situation, and Arabic folk tales, the piece will explore the on-going conflict in Syria, its widespread effects and the personal tragedy it continues to leave in its wake. 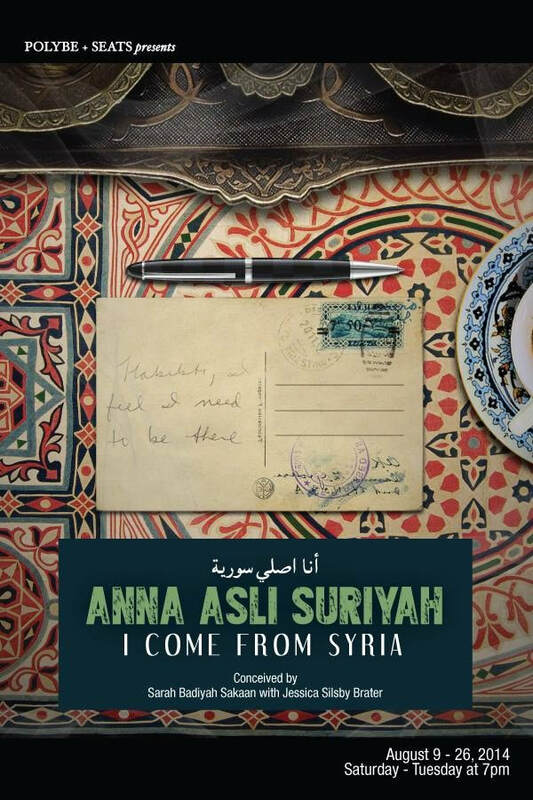 Thematic and stylistic influences include Arab oral storytelling traditions; practice of Syrian social and cultural rituals; urban Syrian soundscapes; and Syrian music, dance and drumming; as well the use of social media as tools of communication in the Syrian Civil War.